Josh Green was named an All-American. 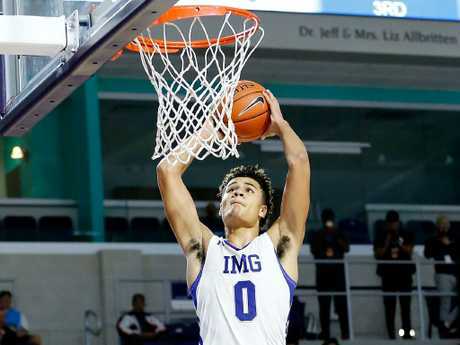 IT'S just after 4.30pm at the picturesque IMG Academy in Bradenton, Florida, and Australia's latest basketball prodigy, Josh Green, has just stepped out of a maths class. "I'm doing statistics right now," the Sydney-born 18-year-old, whose days on the basketball court, gym and in classrooms begin at 7am and go into the evening, tells AAP in his hybrid US-Australian accent. Stats and basketball go hand-in-hand for the 198cm-tall guard who last week was named a McDonald's All-American - an honour countryman Ben Simmons earned on his path from Florida high school Montverde Academy to the Philadelphia 76ers. 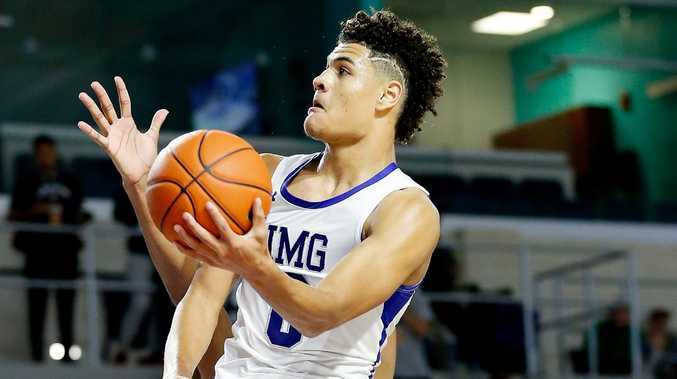 Green is averaging 16 points, four assists and is shooting 46 per cent from three-point range for IMG's loaded team which includes seven of the top 100 US high school basketball players. He is in regular contact with Simmons, who has taken the teenager under his wing. "We talk a lot," Green said. "It's just good to have someone like him. "He cares about up-and-coming Australian players and I really appreciate what he has done for me." Prepare to see a lot more of this. Green, the son of American basketball import father Delmas and Australian mother Cahla, is keen to suit up for the Boomers, although his move to Arizona will likely rule him out of playing in the World Cup in China in August and he is keen to play the 2020 Olympics. IMG, dubbed the world's largest and most advanced multi-sport training and educational institution, has an impressive track record for producing basketball, tennis, baseball and American football stars. 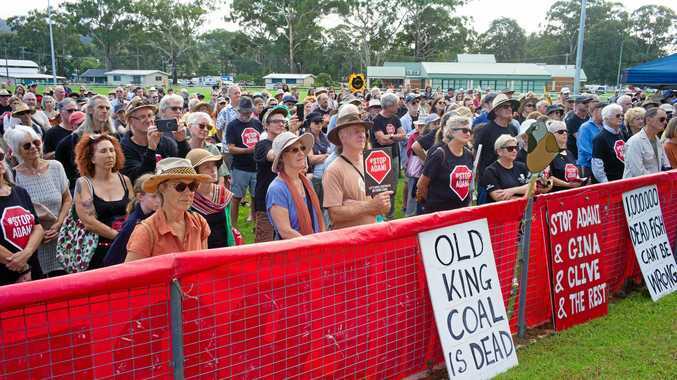 It is also the new home of former Cronulla and Australia backline ace Valentine Holmes, who turned his back on a new $A5 million NRL contract to attempt to make it in the NFL. "Yeah, I've actually been talking to Valentine a little bit since he has been out here," Green said. "He seems like a great guy and I can't wait to see how he goes in the future in American football." Before departing Australia for the US with his family in 2014, Green was a junior Aussie rules star, which he feels gives him an edge on a basketball court. 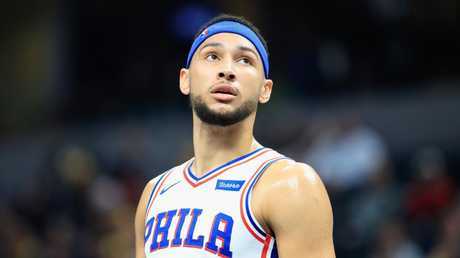 Ben Simmons has taken a interest in Green's career. "I think it has translated to basketball a lot, particularly jumping off one foot," he said. His ability to stuff a scoresheet with big numbers caused a feeding frenzy among America's top basketball colleges as Green has progressed from the NSW under-16 team, as a 13-year-old, to Arizona's Mountain Ridge High School and eventually IMG. He spurned offers from college powerhouses including North Carolina, Villanova and Kansas and will take up a scholarship at the University of Arizona later this year.